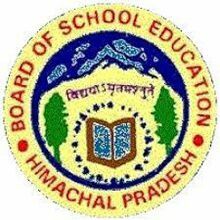 HP Board 10th Admit Card 2019: Himachal Pradesh Board of School Education (HPBOSE) is going to conduct the academic exams 2018-19 for 10th Class in the month of March. The board examinations will be conducted in many examination centers across the state. This year more than 8 lakh call 10th students will be attempting the matric Regular/Comportment examinations in the state of Himachal Pradesh. Students pursuing in various government/private/aided schools in Himachal Pradesh state can get ready to attend the HPBOSE Class 10th examinations as per the scheduled exam date sheet. Students have to download HPBOSE 10th class admit cards 2019 before going to appear for the examinations. Hall ticket/admit card/call letter is the most important document that is needed to carry to the examination. Visit the HPBOSE official website, hpbose.org to download the hall ticket. Candidates can check the details of hall ticket availability date, exam dates, and more details from the HPBOSE website. Himachal Pradesh Board of Secondary Education (HPBOSE) is the state level educational organization that monitors the secondary and higher secondary education in the state of Himachal Pradesh. The HPBOSE is the state level education board that monitors the class 10th and intermediate education in the state. The board annually monitors the syllabus and examination patterns and various other associated aspects of the education curriculum in the state. The HPBOSE conducts the academic examinations in February/March months for all the students and releases the results in April/May months. Yearly, lakhs of students from Himachal Pradesh obtained the certification from HPBOSE Board. The students presently undergoing the education under this board can get ready for the academic exams 2018 -19. All the students going to appear for the HP 10th Class academic examinations 2018-19 can download the hall tickets from the HPBOSE official website, hpbose.org. Himachal Pradesh Board is expected to release the 10th class hall ticket in the 4th week of February (tentatively) and the academic examinations will be held in March/April months. Hence students pursuing 10th class under the HP Education Board can get ready to download the hall tickets. The hall ticket release date will be announced by the HPBOSE before the exams. Hence students can stay checking the HPBOSE portal for the latest updates. The hall ticket/admit card must be taken to the examination without fail. If the candidate fails to carry the admit card, he/she will not be allowed to attend the test. Hence to overcome this trouble all the students are informed to carry the admit cards as a must. Students are informed to stay at the examination centers before half-an-hour of the examination reporting time. Students who got little late to the examination will not be allowed to attend the exam. Hence all the students must report the exam in time. Students who are going to appear for the HPBOSE academic examinations 2018 -19 can check more guidelines for the examinations from their respective hall tickets. On the homepage, ‘Matric Admit Card 2019 download’ link will be activated.